SMPTE Fellow Thomas Bause Mason will be joining the staff as the society's new director of standards development. Howard Lukk, who is returning to his career in postproduction, will conclude his tenure as SMPTE director of engineering and standards in May, after assisting Bause Mason in transitioning to his new role. "We're pleased to be welcoming Thomas to the SMPTE team as a staff member," said SMPTE executive director Barbara Lange. 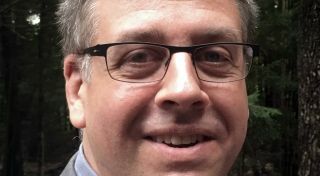 "Not only has he been deeply involved in the standards development process, including chairing several technical committees and study groups, but his IT background lends itself well to our ongoing need to be more software focused. Thomas has also been instrumental in the creation and delivery of standards-focused educational programming through our Virtual Classroom course offering. I am delighted to have Thomas onboard." Throughout his career, Bause Mason has assisted industry organizations in the development of standards, technical recommendations, and study group reports, and he holds several patents relating to watermarking, 3D, and authentication, as well as metadata tagging. In his work to develop and promote standards for media and entertainment technology, Bause Mason has chaired the North American Broadcasters Association (NABA) Media over IP (MoIP) Subcommittee; organized the MoIP Workshop, presented by the Alliance for IP Media Solutions (AIMS), NABA, SMPTE, and VSF that promoted the use of SMPTE ST 2110; and chaired the SMPTE Studio Group on Flow Management in Professional Media Networks.